Pictures of good food have the power to tantalize our taste buds and make our mouth water immediately. But the bad pictures of food are equally powerful — they’re enough to make us never want to eat that food again. 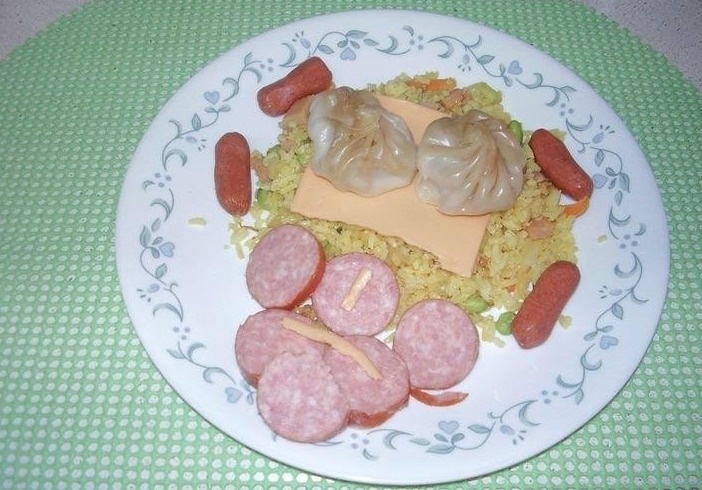 Here are some of the worst food images of all time. If you ever need to suppress your appetite, look at these pictures. Crepes with blueberry sauce really taste delicious but after seeing this, no one will be able to swallow a piece of it. Well, we’re starting off with a bang! This is really uncanny. 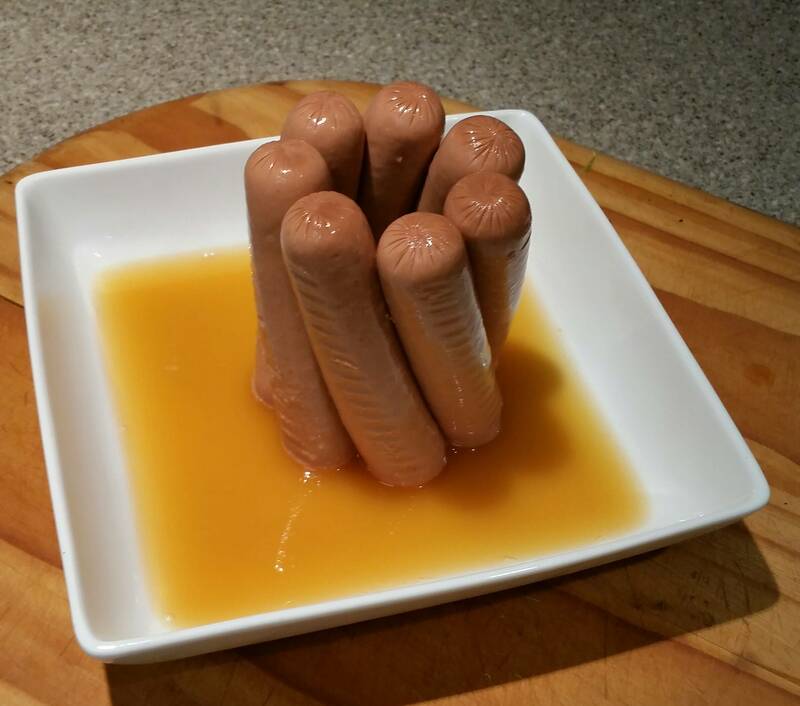 I am never going to eat the Vegan Hot Dog after seeing this. Caprese Aspic. 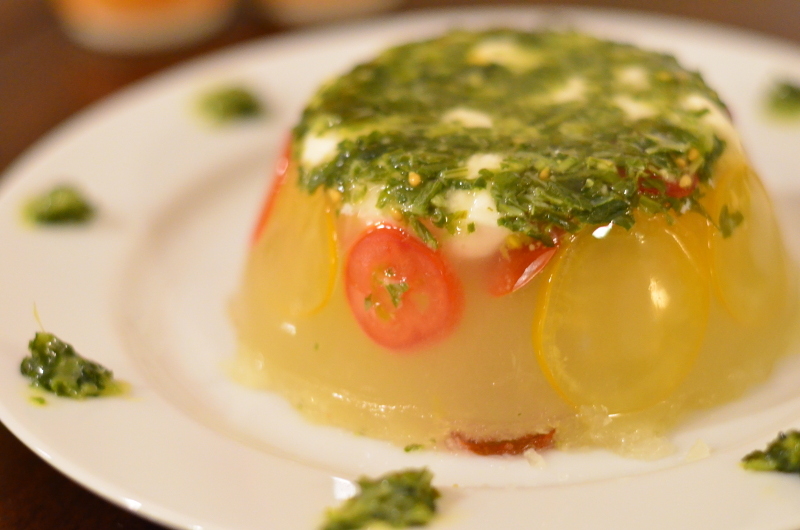 Basil Gelatin which has tomatoes and mozzarella suspended in it. Wanna try? 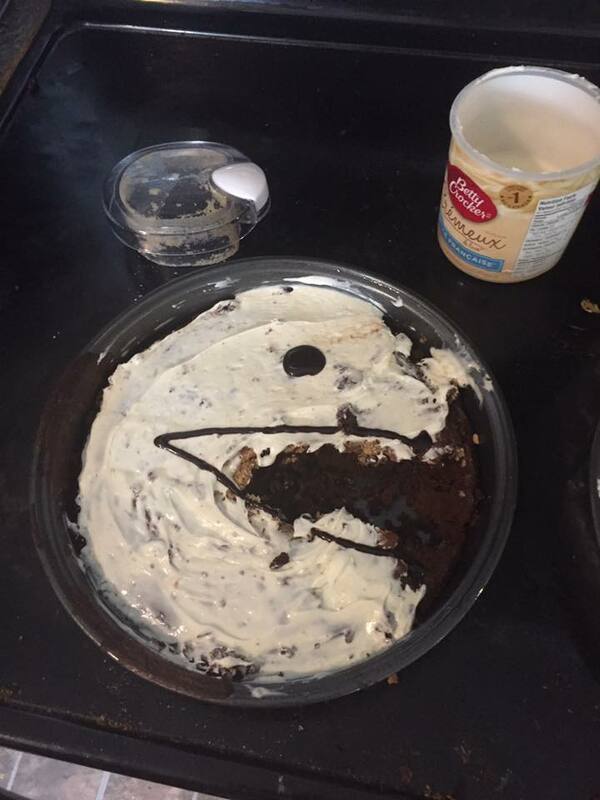 A cake for all the Pacman fans. Though it doesn’t look delicious. Pacman deserves better. For all those who want to suppress their appetite. 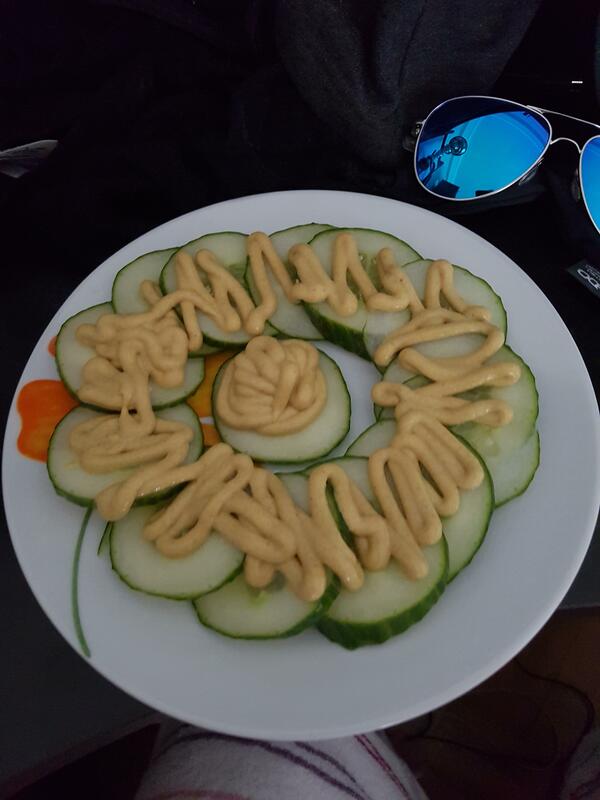 Here is the healthy dinner, cucumbers, and mustard. This is a weird mixture we don’t want to try. 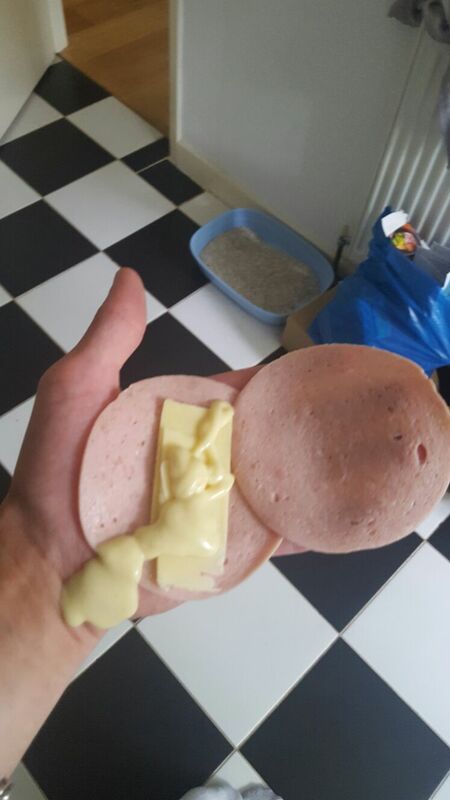 Looks like they put whatever they had in the fridge on the plate. 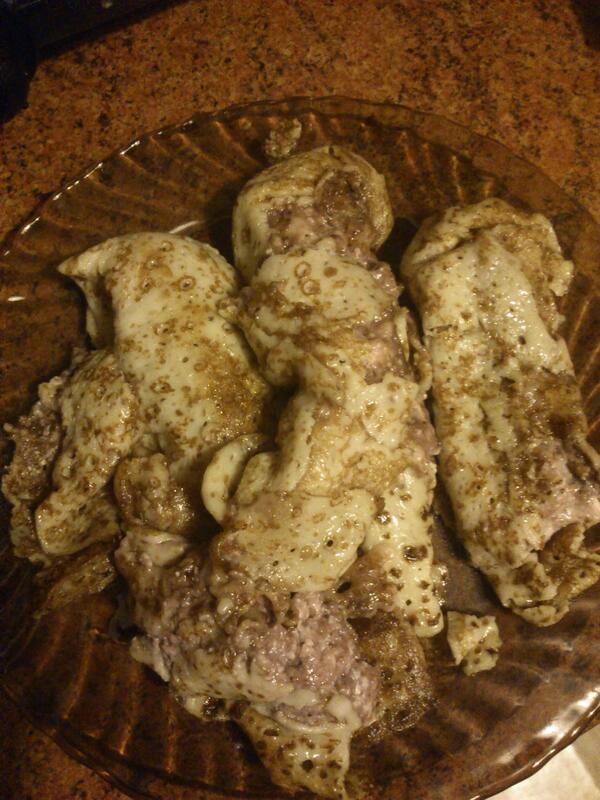 How can anyone eat this? Separately, sure but together? No way! Pregnancy cravings can be really weird. Yeah, she ate it, and also liked its taste. Yikes! We’ll forgive her because she doesn’t have any control over cravings! For all those who can’t eat bread, here is the Cheese and meat sandwich with some salad cream on it. Or how about not? 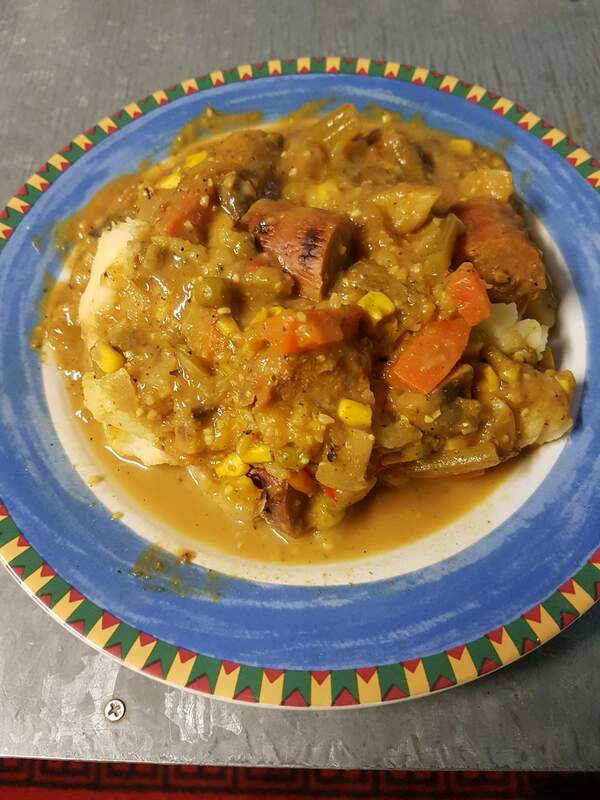 Curried Sausages. 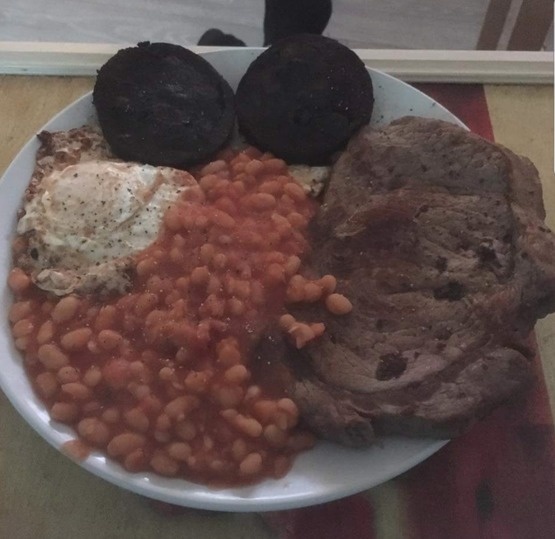 I can’t even look at it, how did they eat that?! 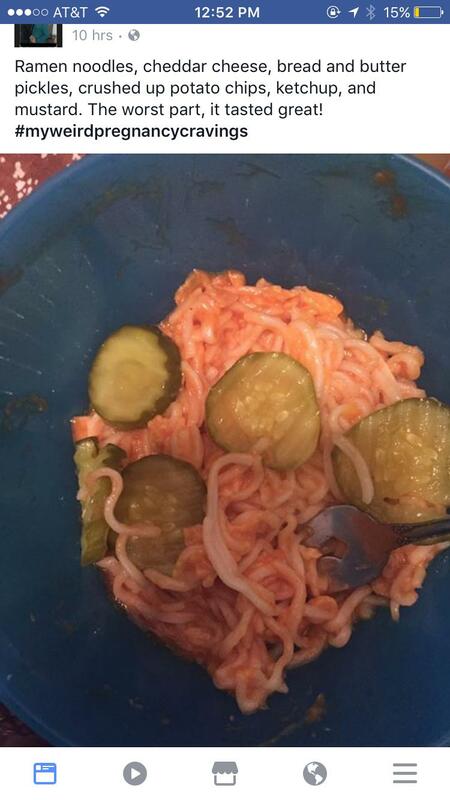 It looks like vomit. 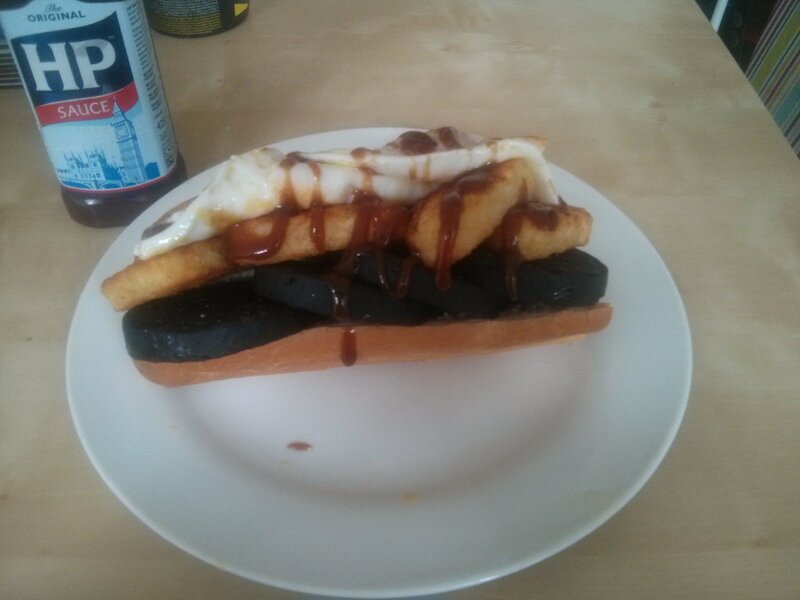 Hash Brown, Black Pudding, and Fried egg baguette. Breakfast for an alien r smene without taste buds. 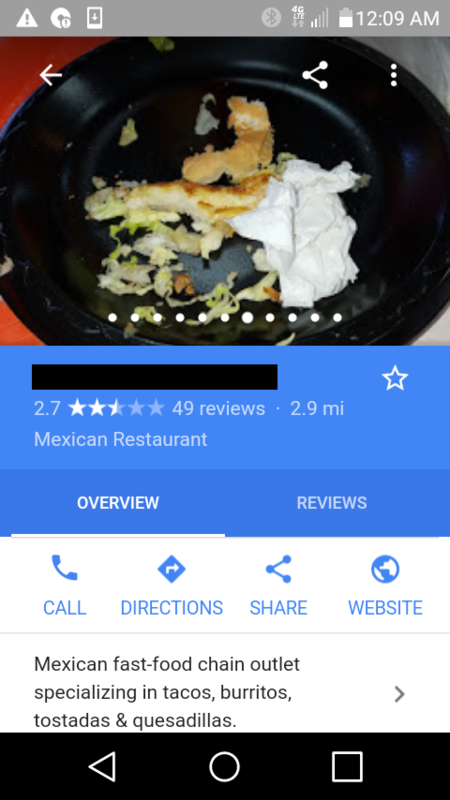 A Mexican restaurant uses this picture for their Google listings. 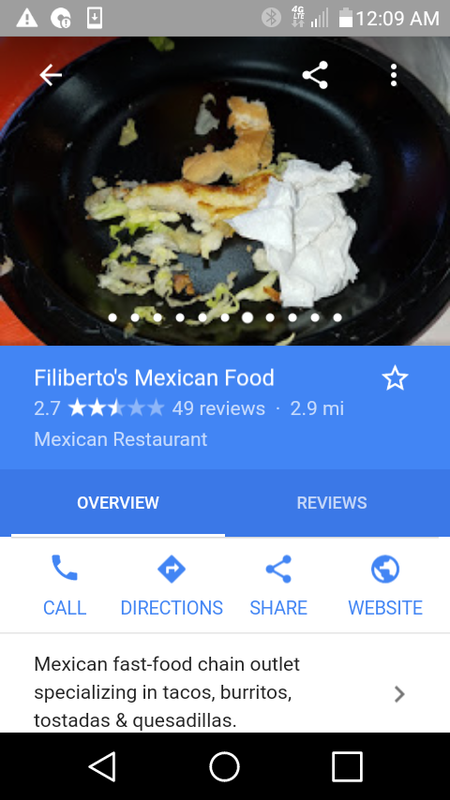 How did they even get 2.7 ratings? Is that food? 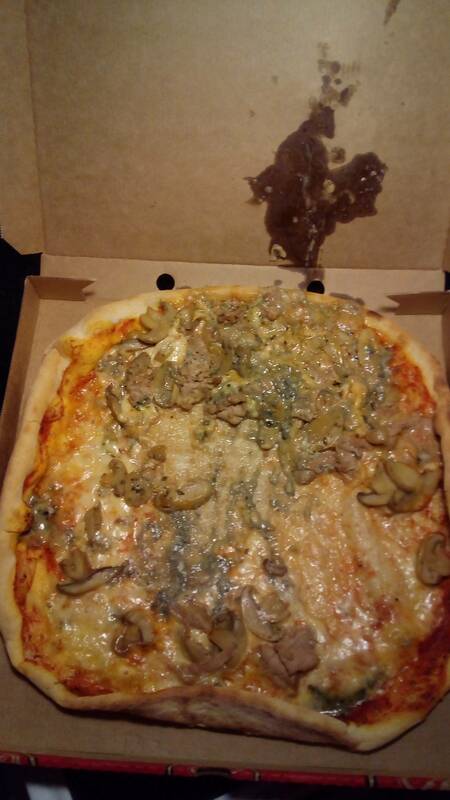 Well, they call it “Gorgonzola Pizza.” If this is a Gorgonzola Pizza, I am never going to have one in my life. This is what a pizza without dough looks like. It’s just cheese and pepperoni. 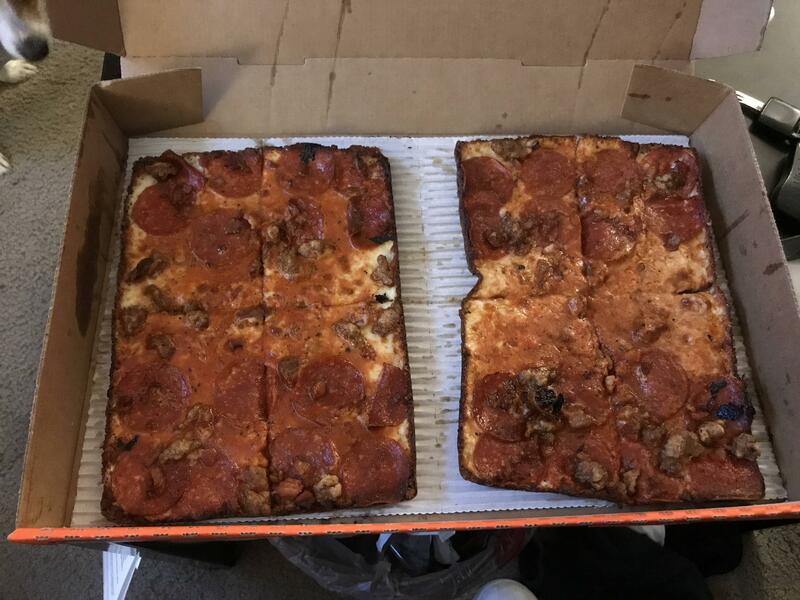 I guess there’s crust underneath there. 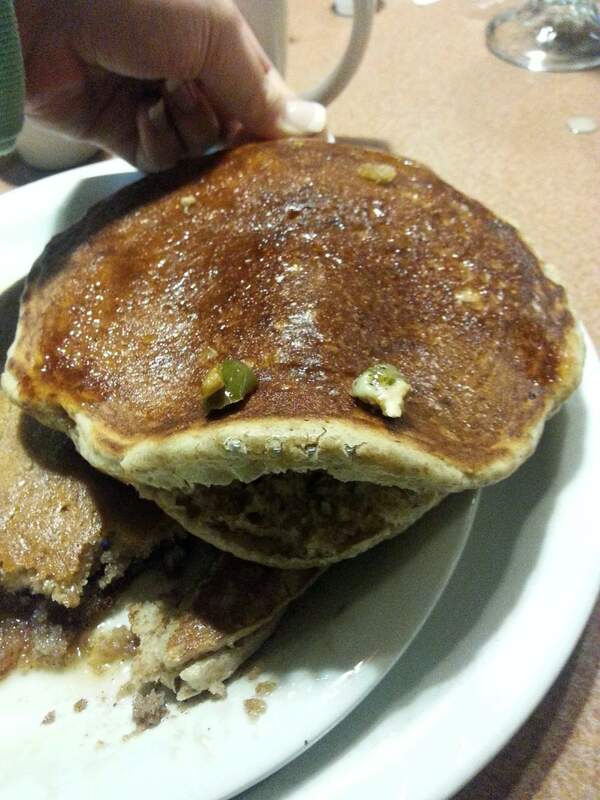 Looks like they tried to make a stingray out of their pancake. This is the first time, I don’t feel like eating a pancake. We also had a “Hot dog bun with melted cheese” last night but this looks completely different. I feel nauseous. Well, we have no words to describe the strangeness of this one. 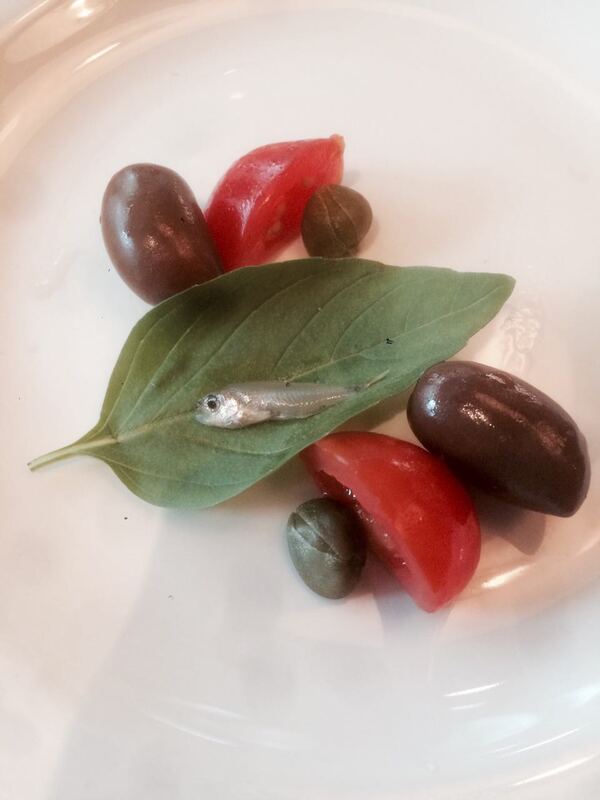 It’s a tiny fish and some big olives. 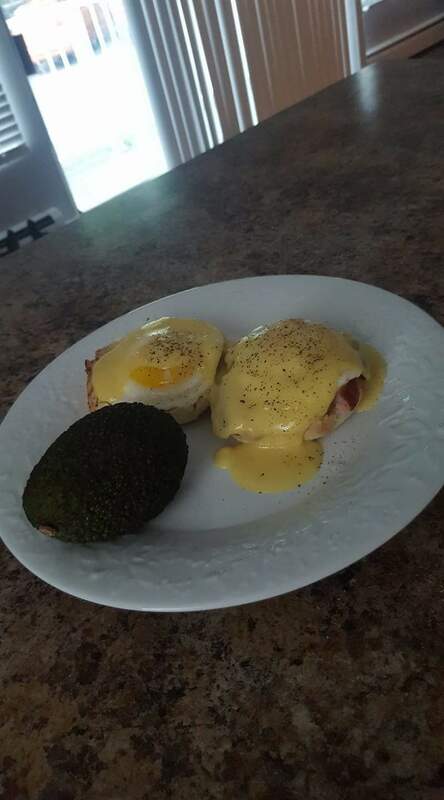 How about having Eggs Bennie and Avocado for brunch?! Wait, that’s a whole avocado! 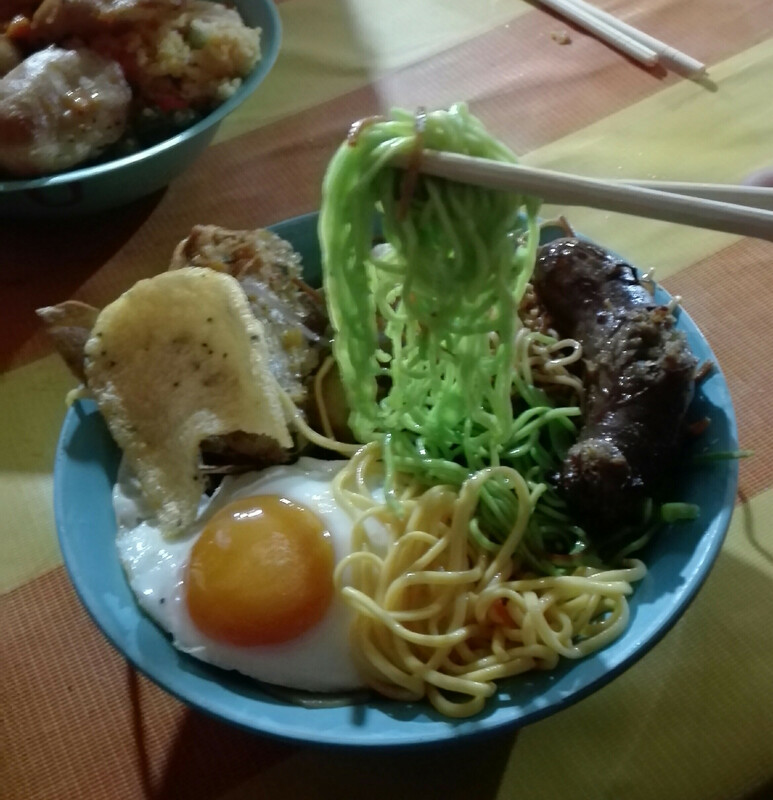 These neon green noodles can make anyone puke. Als what’s on the rest of the plate! 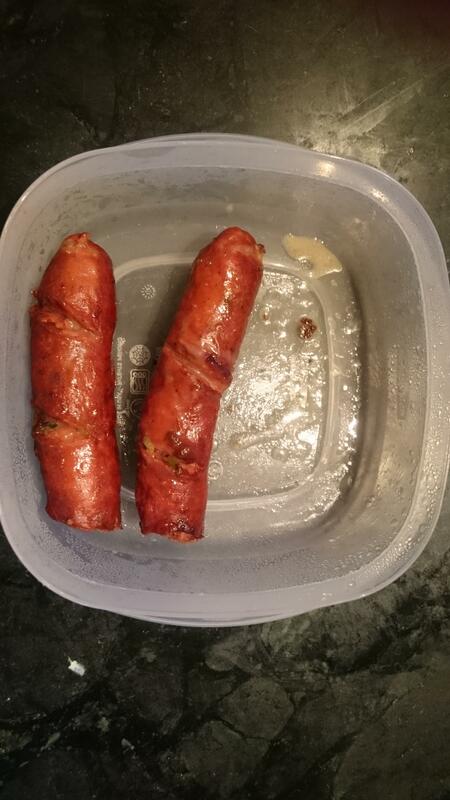 Leftover jalapeno cheddar elk bratwurst. Forget to eat it, try to see if you can look at it for more than a minute. While this is creative, one can’t eat this. 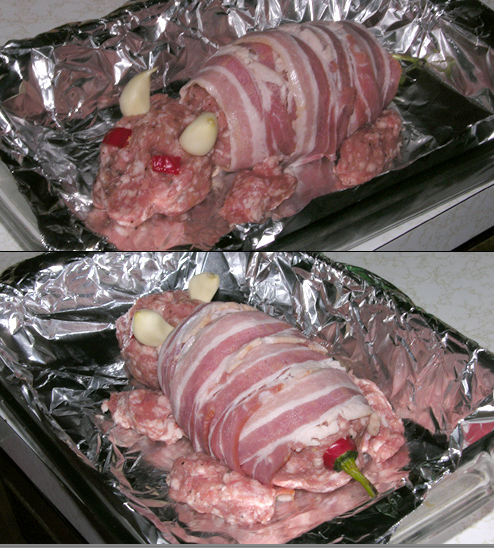 They made a Bacon Pig using hot dog, bacon, garlic, pork and also jalapeño. Heartburn city! 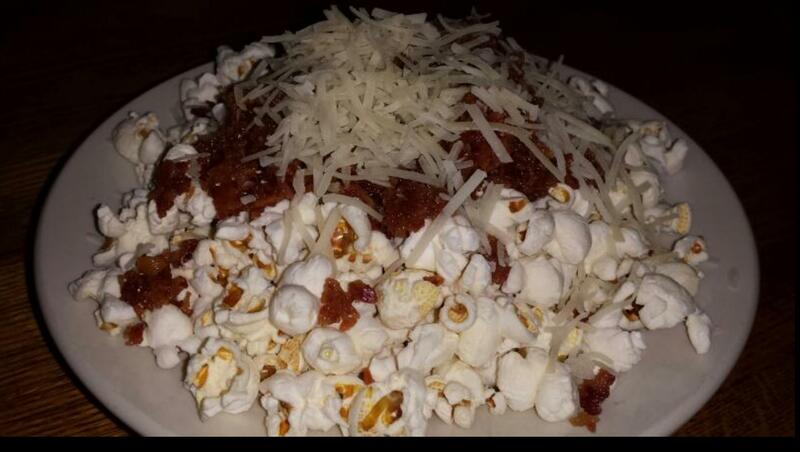 A dish with the blend of Popcorn with Meat Sauce and Parmesan. Where do they get these ideas?! Seriously, where? 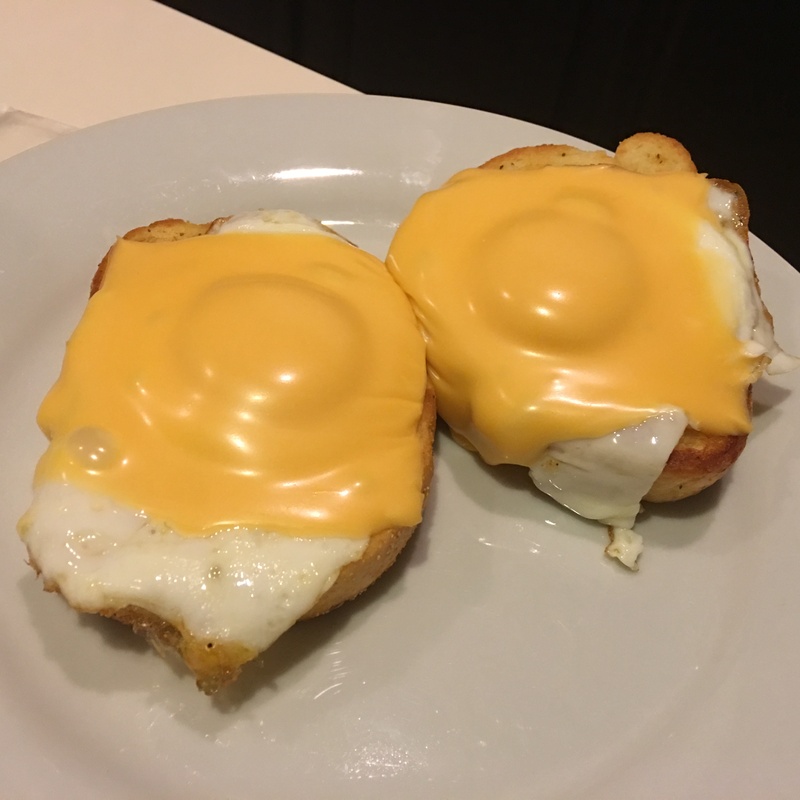 And they tried to make a new dish with Cheese garlic bread and eggs. Well, it’s better we don’t say anything about it. 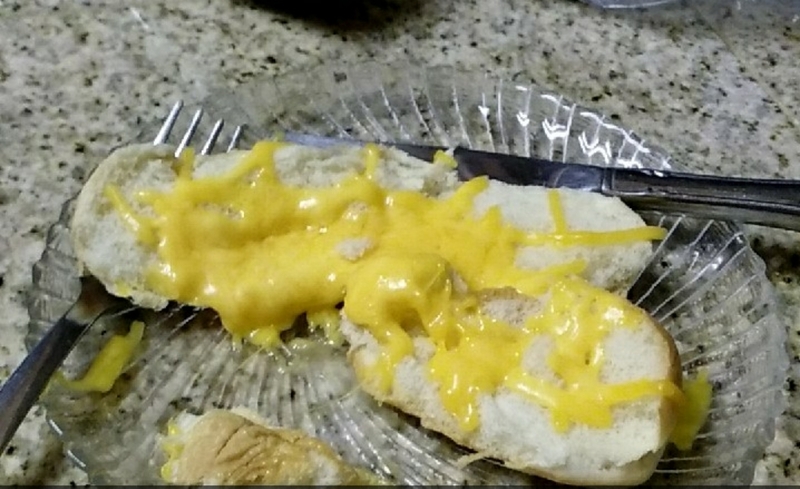 That is bread under there, right? If you are feeling like you haven’t been farting enough, then this dish is for you. Have the full dish and you’ll feel great for the whole week.